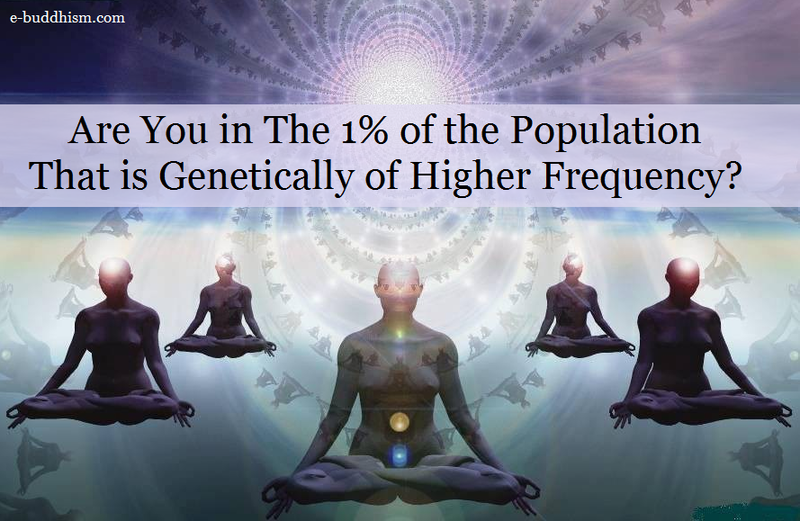 Other Are You in The 1% of the Population That is Genetically of Higher Frequency? Are You in The 1% of the Population That is Genetically of Higher Frequency? Do you notice or even feel frustrated because the supplements, medicines, diets, and modalities that seem to work for other people don’t work for you? Do you do what most would consider “all the right things” for your health and spirit and still feel that you are not functioning optimally? Do your energies, moods, and immune system feel like they need a boost even when you take extra time for “self-care?” If you answered “yes” to the previous questions, there is a very good chance that you are part of the 1% of the population that is genetically of higher frequency. People of higher frequency tend to be described as “hypersensitive,” empathic, intuitive, creative, sometimes perfectionistic, and (wonderfully!) complex. Despite finding that other people are drawn to them, higher frequency individuals often feel alone in this world because they comprise so little of the population. However, they continue to move forward with their lives in a unique, heart-centered way. They live almost strategically in different parts of the globe as “light workers,” here to carry out their important mission or “Cosmic Call to Action,” which is to help our species and planet survive and thrive as a more consciously awakened world. If the qualities and tendencies mentioned above resonate with you, then you probably have lots of experiences being and/or surrounded by a higher frequency person. It may not come as a surprise that–because of all of the energies that higher frequency people take in and take on from the world around them–they are quite prone to: food and environmental allergies; thyroid issues and adrenal fatigue; inflammation leading to digestive and/or joint issues; depression, addictions, or extreme highs and lows in mood; and intense relationships to sexual activity, body image, and/or exercise. Most higher frequency individuals feel the need to regroup or refresh by being alone and away from the energies of other people; by spending time in water or nature; by engaging in sports or physical activity; and/or by getting lost in music, dance, or other forms of expressive art—all to help rid themselves of the frequencies they take in, as well as to help rebalance their own energy systems. While being a super-charged human has its challenges, lessons, and contrasts, you contain the Divine fabric, energies, and soul that represent the next steps for our human species. Because 3D life as a higher frequency person is complicated, it is neither helpful nor expected for you to live in perpetual bliss, nor to isolate instead of participate in this world. Any discomfort and confusion you experience pave the way for your sincerity and ingenuity; your resilience inspires others; and your tenacity is the hope for our future. Most importantly, by living a life that resonates with you, you move others to transform in positive and profound ways too. Although you may not always receive the applause, recognition, or gratitude that you deserve from others, as with most pioneers, your trials, tribulations, and triumphs are pivotal, and will be appreciated for generations to come.